Note: When slipping the first stitch on odd rows, hold the yarn in front of work and slip stitch purlwise. 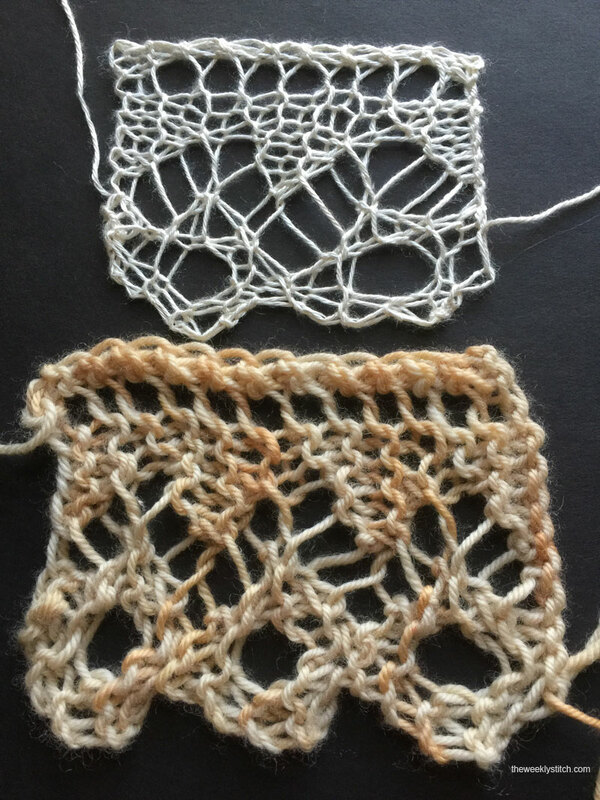 Even though this is a 'lace' edging, don't be afraid to try it in weights other than lace. Repeat rows 1-8 until edging is desired length. Wish you the best for 2016. Health, Joy and Happiness. I've never made or used an edging before so would you be attaching this to a shawl or scarf? I like the looks of this one and it looks like an interesting pattern to work. Would you give me some ideas on how to use this edging? Really look forward to your videos. Thank you for taking the time to do them and posting the written instructions. Elizabeth, you can use edgings on scarves, cowls, shawls, the bottom or cuffs of a sweater, the bottom of a skirt, on pillow cases, doilies, guest towels - just about anything. 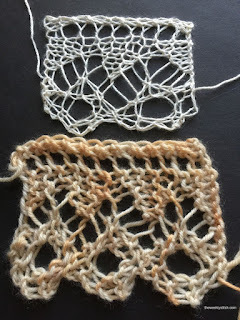 I usually use them on shawls; I knit a very long strip of edging, then pick up along the top edge and continue with the shawl. I just today discovered you're back! Yay! Welcome back and thank you so much for your lovely patterns and informative comments. You are greatly appreciated.